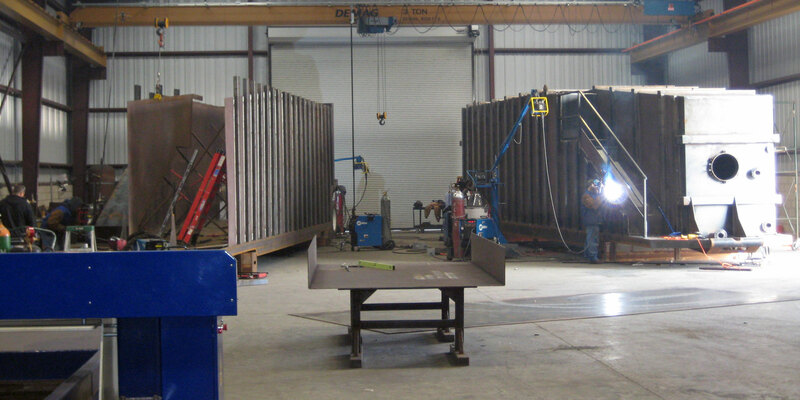 Designing, sourcing and leasing specialty storage tanks and bins in various sizes and models for use in the oil, gas, environmental, construction and water management industries. Employing time and energy saving equipment to aid in producing what industry sentiment regards as the being the best liquid storage tank solutions on the market today. Maintaining a fleet of un-manned power units, trailers and storage solutions, we can provide the right equipment for your mission critical needs in a timely fashion - anywhere on the globe. Denbeste, Inc. is a diverse company that encompasses three separate divisions. Our products and services cover a wide variety of industries including environmental, industrial, energy, engineering and construction. Our extensive experience has guided us to provide one of the most diverse fleet of temporary liquid holding tanks in the industry. DenBeste Heavy Equipment exclusively rents Cat equipment to its clients. Our management team has over 30 years of experience working in the construction, oil, gas, environmental, and mining industries. With convenient locations in Northern and Southern California, the equipment you need is always close. Contact us today to find out how we can help with your next project. Located in Northern California, our staff provides fast and efficient customer service for all divisions of the DenBeste Companies. Based in Shafter, California our manufacturing facility is equipped with state-of-the-art machinery to maintain productivity as demands increase. Denbeste has provided exemplary service to our company over the past decade. Long relationships like this are formed over years of consistent pricing paired with quality service. Our business is among the most highly regulated in the world and their equipment always lives up to the highest standards. We are proud to be a partner of Denbeste Water Solutions and would recommend their service to anyone. It has always been a pleasure to work with DenBeste. One of their best qualities is their ability to consider the small details that others often neglect. We’ve been able to work well together in an efficient and aligned manner due to their strong planning and organizational skills. The net result of all this is consistent, well executed completed projects. We have been doing business with Denbeste for over 6 years, so I guess you can say we’ve through some very highs and some very lows, Denbeste have always gone out of their way to take care of all of our needs, they have always make things happen in a timely fashion while providing some top notch equipment. We are proud to announce to all of our customers that we have partnered up with Denbeste.